When We Say, “Full Wheel-Bed Design,” We Mean It! Dyna-Flo and Dyna-Flo HD are carton flow solutions that address a common warehousing challenge… orderly, efficient storage of cartons that vary in size and shape. 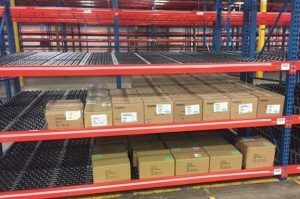 You could have a batch pick operation, fluctuating inventory or even just single products with multiple carton sizes, either way you will get the most out of your rack and be able to store the most SKUs with Dyna-Flo carton flow. Dyna-Flo gets the most out of your rack due to the unique edge to edge, full-width wheel coverage. Dyna-Flo eliminates dead space that is common in other carton flow applications thereby giving you wheeled coverage for the entirety of your rack bay no matter how wide… from 48” all the way to 144” out to out. That’s edge to edge and between the tracks. So, how much space can be gained with Dyna-Flo’s design? As much as a full SKU per carton flow level. In other words, each 3”- 4” gap can result in an additional SKU per level. 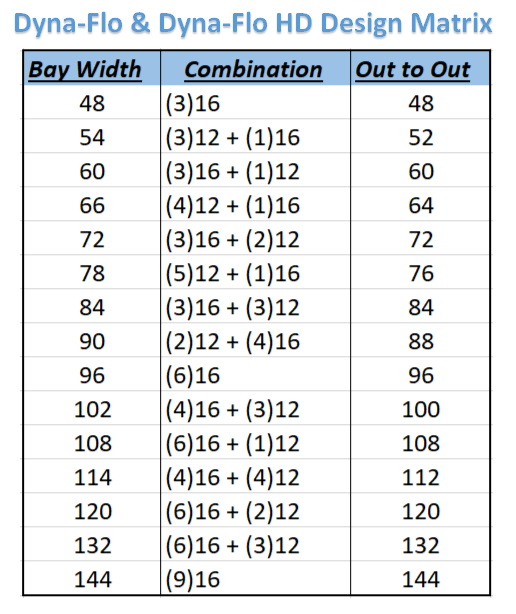 Figuring on 4 levels per bay and 150 bays… that’s 600 MORE SKUs that system can hold! Plus, you get the bonus of optimizing your rack space. To ensure your carton flow system does make the most of the rack space available, use the Dyna-Flo Design Matrix. This simple matrix helps by showing the best combination of standard track widths (12” & 16”) to best populate the rack bay. For example, note that a typical 96” bay would be comprised of 6 tracks of 16″ wide Dyna-Flo. That configuration provides maximum wheel coverage without gaps, or dead space… just more SKUs and optimized efficiency. And then when you are ready to order your Dyna-Flo carton flow, we’ve made that as simple as possible too. Here is a quick video tutorial to guide through the process. Easy Ordering Comes to Mallard Dyna-Flo Carton Flow Solutions. Mallard also offers customizable carton flow accessories to further enhance your system and improve pick rates and accuracy. At Mallard, we are all about warehousing efficiency. Time is money, space use is money and inventory processing is… well you know… money! 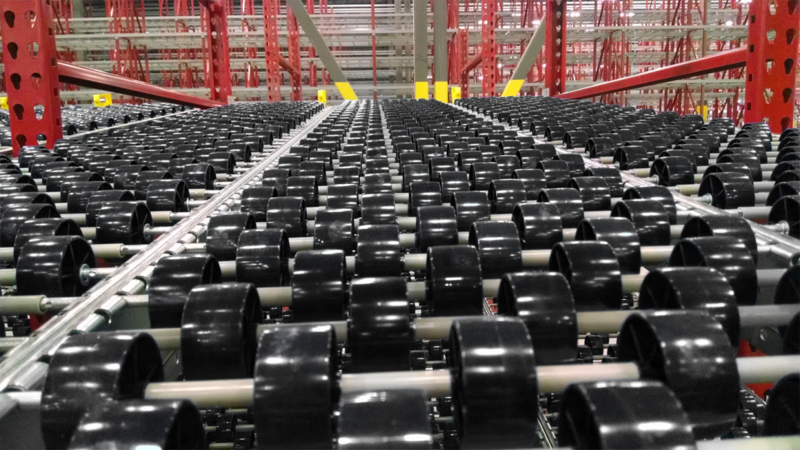 Gravity flow solutions are uniquely beneficial for many reasons including orderly SKU storage, minimizing warehouse traffic, faster put-away and picking, optimizing space usage and streamlining inventory processing to name just a few. Plus, gravity flow provides a dynamic solution that’s amazingly low-maintenance, easy to implement, and as long as the laws of physics stay in place… free to operate. Call the gravity flow experts today to talk about your warehousing challenges and to see how we can design a gravity flow solution to help you meet or even exceed your operational goals.